Dr. Morgan Brown grew up in Woodbridge, Virginia before completing her undergraduate degree at Penn State University in 2015. 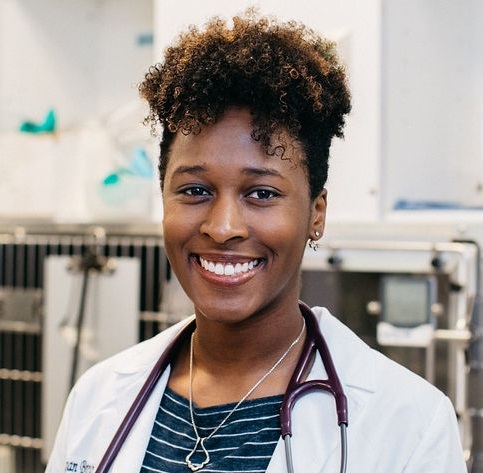 She graduated with her doctorate in veterinary medicine from Virginia-Maryland College of Veterinary Medicine in 2018, and has special interests in emergency medicine and ophthalmology. In her spare time, Dr. Brown loves to serve it up on the volleyball court, expand her culinary horizons by trying new foods, and spend time exploring Richmond with her husband Shawn and their Yorkie mix, Gizmo.